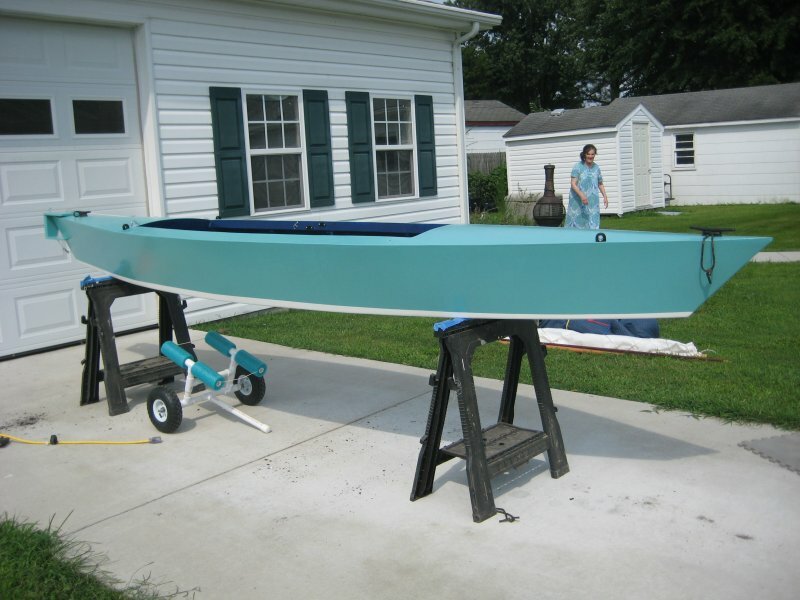 I built this kayak for my 12-year-old granddaughter. 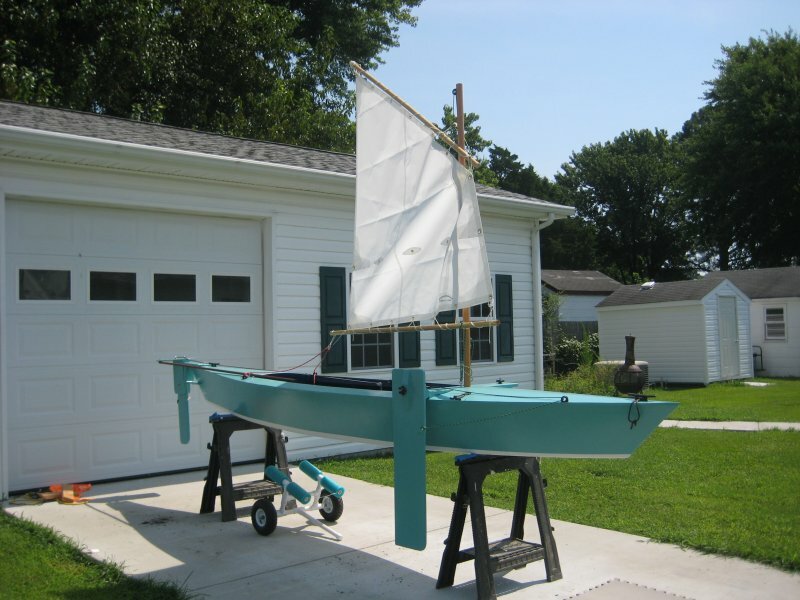 When her mom was that age she had a small sailboat. So I decided to add a drop-in sail rig to the kayak so she can use the boat either way. 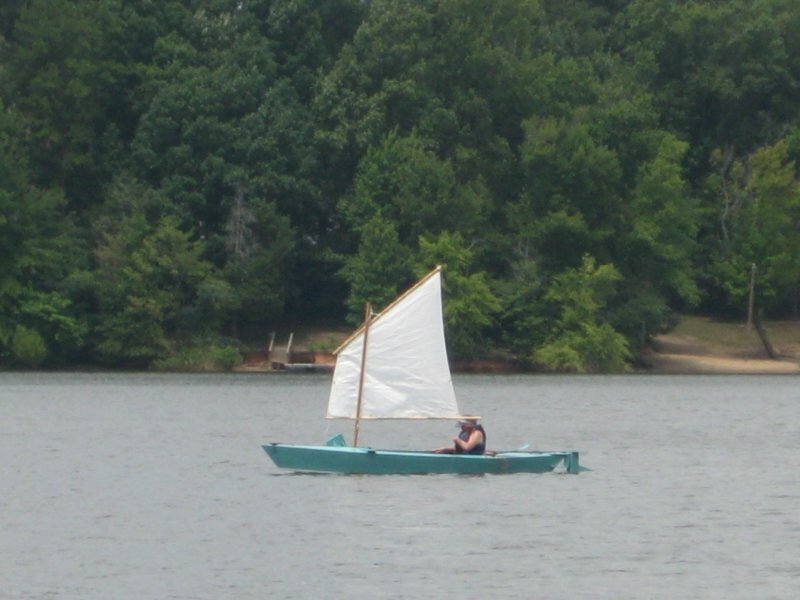 The boat has a clear Douglas fir frame, 6mm Okoume marine plywood sides and bottom, and 3mm Okoume decks. The seams are glassed with 6 oz. tape and the entire exterior hull of the boat is glassed with 6 oz. cloth. The interior has 2 coats of epoxy and 3 coats of paint, and all of the frame to plywood joints are filleted.